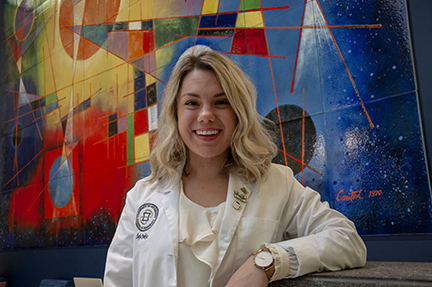 Šejla Jukic (Class of 2021) showed her patient counseling skills and placed as one of the top 10 finalists in National Patient Counseling Competition representing PittPharmacy at the APhA-ASP annual meeting and exposition in Seattle, Washington. “I am so thankful for the education and the skill set I have received at Pitt Pharmacy that made me successful in this competition.”, said Jukic. Jukic joins PittPharmacy alumni TOP 10 finishers: Melissa McGivney (APhA 1997), Adam Welch (APhA 2002), Lucas Berenbrok (APhA 2012), Pamela Lyons (APhA 2013), and Adrienne Jantzi (APhA 2015). The goal of the APhA-ASP National Patient Counseling Competition is to encourage student pharmacists in their efforts toward becoming better patient educators. The competition is designed to reflect changes that are occurring in practice, to promote and encourage further professional development of the student pharmacist and to reinforce the role of the pharmacist as a health care provider and educator. 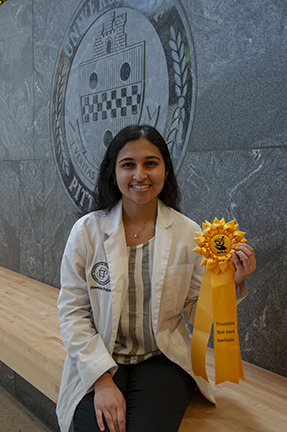 More awards continue as Varsh Prakasam (Class of 2020) was selected as a semi-finalist for a APhA-ASP Presentation Merit Award during the 2019 APhA Annual Meeting. 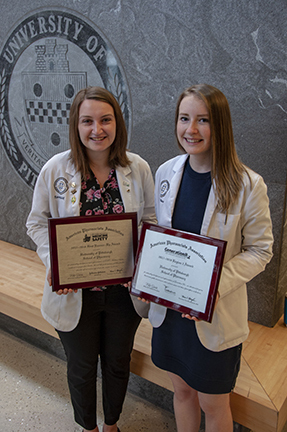 PittPharmacy’s chapter was selected as the 1st runner-up of the 2017-2018 APhA-ASP OTC Medicine Safety National Award and the 2017-2018 APhA-ASP Region 2 Generation Rx Regional Award. PittPharmacy Alum, Taylor Waterson, ’17 won the Best Post-Graduate Podium Award from APhA-Academy of Pharmaceutical Research and Science. She is currently a PhD Candidate at the University of Wisconsin.